If you're dealing with a rat infestation - or even just a single rat that's taken up residence in your home - you'll want the situation dealt with as quickly as possible. But what's the best way to go about it? If you've considered investing in traps, but aren't sure where to begin, you've come to the right place. 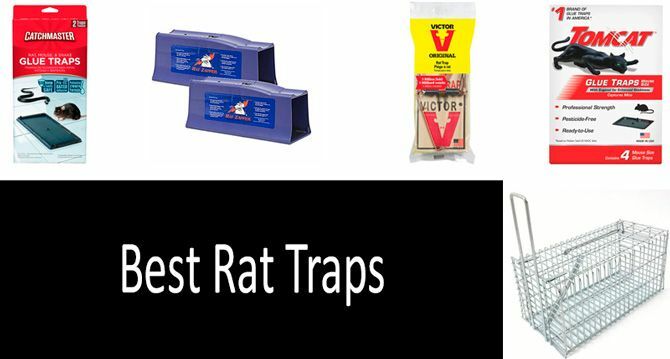 We'll provide you with an overview of the different types of traps and their effectiveness, along with in-depth looks and review of 9 Best Rat Traps on the market, and a comparative chart to help you determine which one might work best. How Do Rat Traps Work? Are They Effective? Dealing with pests is never convenient, but in the case of rats and some other rodents, it can also increase the risk of contracting certain diseases, such as the hantavirus. It's therefore imperative that you eradicate the rats in a timely and thorough fashion. However, we understand that you might prefer a humane approach to the problem (and if you have pets, you'll want to make sure to keep them safe). In this guide, you'll learn enough about the various methods of trapping to give you a clear idea of what to look for. Rat traps are devices intended to kill - and sometimes capture - rodents, usually by luring them in with food. The effectiveness of the trap is largely dependent upon which type is used, but in general, all of the types listed below should produce satisfactory results. As you'll see, not all traps are created equal. In this section, we'll discuss the different types of rat traps, and give a brief overview on some of the top offerings in each field. These are essentially larger versions of the mouse traps that you're probably familiar with. Bait is laid on a tripping mechanism, affixed to either a wooden platform or plastic device. The weight of the rat then causes the mechanism to "snap," which will swiftly kill the animal. Snap traps are a fast and convenient choice, and they have the added benefit of delivering a quick death. If you're squeamish about emptying the traps, however, they probably aren't the best option - unless you go with a disposable brand. Made of polystyrene and steel, these traps are both durable and reusable. The dimensions are 8x6x3 inches, which makes them large enough to trap many species of house-bound rats. Customers report that the traps perform well, capturing a high number of rodents in a short period of time. A few claim that they don't hold up all that well over time, but this might not be an issue if they're effective enough in the first go-round. Overall, the product merits a solid recommendation. This is a wood-based wire trap with a scented pre-baited trigger, presenting the image that likely comes to mind when you think about rodent traps. Available in a pack of 12, with each trap measuring 7x3-1/4 inches. Unlike the Snap-E, these traps are not reusable; you'll be throwing them out along with the rodents' remains. That could be taken as either a positive or a negative, depending on your point of view. They're convenient and inexpensive, and the wire mechanism increases the likelihood of a fast kill. Testers praise the large size and the overall effectiveness of the traps. Often, the pre-scented trigger provides sufficient bait, which keeps costs down. If you're looking for a traditional snap trap, the Victor is the way to go. Electronic Rat Traps — No mess! No blood! Instant kill! Electronic traps are larger than their "snap" counterparts, about the size of a breadbox. They work by delivering a high-voltage shock to the trapped rat once it's lured inside. They also have the added benefit of being entirely reusable. They're also hands-off, which is perfect if you prefer not to deal with the remains. The Classic Rat Zapper is battery-operated and generously sized, and no chemicals or poisons are used or necessary. Available in a pack of two, so you can set up traps in more than one location. Note that it's best suited for outdoor use(see below), so if you need a trap for your shed or garage, it's best to choose another brand. Consumer response to this product is overwhelmingly positive, with only a few detractors claiming that a competitor's offering worked better. It was noted that the traps should not be left out in the rain. Otherwise, the traps are a good representation of their type. This is a huge trap - 11x4-1/2x5 inches - featuring smart-detection technology to draw in rats, mice, even chipmunks and squirrels. It runs off electricity, but there's a battery adapter as well. Hoont advertises a fast and pain-free death for the rodents, as well as the easy cleanup typical of electronic traps. The versatility of this trap makes it a good bet if you have more than one type of infestation, or if you think you'd like to trap squirrels around your bird feeder. Bear in mind that if you're using it outdoors, you'll want to bring it in at night and during inclement weather. Also reconsider the Hoont if you have small pets; a curious kitten could easily crawl inside. Testers have only positive things to say about this trap, claiming that it worked when nothing else would, even on squirrels in the attic. If you're definitely looking for an electronic trap, Hoont's offering comes highly recommended. Victor's entry in the electronic category resembles a black mailbox, with a patented escape-proof design. The company claims that it can kill up to 50 rats on a single string of four C batteries, and that the shock is intense enough to deliver a pain-free death. There's even an auto reset, meaning that it won't shut off just because one rat has already met its end. As this trap can dispatch many rodents in a short period of time, it's worth considering if you suspect a large infestation. In the minus column, be aware that the Victor is designed for indoor use only. Most customers report overall satisfaction with this trap, with only a few claiming that it failed to eliminate the problem. While Victor doesn't recommend the use of bait, some say that it works even better if you add peanut butter or dried fruit. If you prefer to take a non-violent approach to your rat infestation, live human traps and cages are the way to go. Like the electronic versions, these can be used to lure several rats at once--but instead of shocking them to death, it merely traps them for later release. You'll be dealing with live animals if you choose a live human option; if you're comfortable with that, then these are your best bet. The only downside is that you run the risk of the rats finding their way back someday. You’ll also have to check the wildlife catch-and-release laws of your state to make sure you follow the rules of releasing caught rodents. This non-toxic, cruelty-free option is made of rust-resistant galvanized wire mesh, and can be used both indoors and outdoors, year-round. It requires almost no maintenance, and can be used repeatedly. Testers praise the strong construction and escape-proof nature of the Trap-Top. Farmers and other people who live in pest-friendly quarters are especially quick to recommend it. This galvanized wire mesh cage is one of the biggest on our list, at 16x6x6 inches. While it's designed for chipmunks, it's also effective on rats and weasels. One nice perk: The trigger rod is located on the outside, so trapped animals won't be able to damage it. There's also a sturdy handle to make carrying easier. While customers appreciate the humane aspects of this trap, there is one unfortunate side effect that makes it difficult to recommend: It often traps birds as well as the targeted rodents. As the name suggests, these traps use glue to keep the rats from escaping. Of all the types listed, these receive the most negative press, as the trapped rodents will likely die a slow death, and have been known to gnaw off their own limbs in the effort to escape. Even if you'd prefer to kill the rats rather than set them free, the snap and electronic methods deliver a swifter killing stroke. In their defense, though, they do have the ability to fit into very tight corners. This trap is disposable and non-toxic, safe for use around pets and small children. In addition to rats and mice, it can be used to trap snakes. No bait is required, either, which makes them more cost-effective than snap traps. If you're in the market for a glue trap, these work as well as any. Just be sure to check them often, and keep them well away from high-traffic areas. The Tomcat uses Eugenol in its non-toxic formula to enhance the "stick factor." If you have cockroaches as well as rats, it can also be used to trap insects, which makes it a solid entry in the glue-trap department. Customers who've tried these traps claim that they work exactly as advertised. They can be recommended if you want to go the glue-trap route; again, just take care not to leave them where pets can get stuck. We think the fastest and the most effective trap is an Electronic Rat Trap. However, it doesn’t come cheap, and if you have a large rat infestation, it can cost you an arm and a leg to get rid of all the rats in your house. So it won’t work for large rat populations unless you are willing to spend a fortune. If the rat infestation in your household is critical and severe, then stack up on as many snap rat traps as you can possibly afford. We think glue rat traps are the most inhumane, thus we strongly advise against them. Rats die a slow and painful death, you’ll most certainly hear them die, gnaw off their own limbs trying to escape. The most humane way is probably catching a rodent alive. But again, you will have to deal with the catch-and-release laws of your state to make sure you release the rat in a specified approved location. How many rat traps do I need? You will have to use as many traps as possible to ensure you kill most of the rat population. Where should I put the rat trap? Place them wherever you’ve seen rodent activity, like scratched or damaged wood, left feces and urine. Also, place them along the walls where they usually travel. How often should I check the rat trap? Follow all instructions carefully, and check the traps often. Usually the rules goes to set traps in the evening and check them in the morning. How do I know when I have caught all the rats? You have to aim to kill as many rats as possible, thus stock up on as many rats as you can possibly afford. Do not disregard pre-baiting period to avoid rat neophobia (fear of anything new). If the results are poor, consider using a different type of bait or moving the trap to a different location. Use more than one trap. This will increase the likelihood of success. Place the traps well apart, at least 20 feet. Set the traps in enclosed locations and along walls. Leave the traps out for a few days before activating the trapping mechanism. Baiting the traps. For electronic and glue traps, no bait is needed; however, using a smear of peanut butter or a few pieces of dog food can't hurt. Raw bacon is also recommended if you have some to spare. First, get an idea of the type of trap you want. Once you've decided, look for a large, solidly constructed trap with decent escape-proofing. Will rat traps work on chipmunks, squirrels, or mice? Yes, some rat traps will work on all sorts of rodents, even weasels. See the product reviews above to learn more about the most versatile brands. Do the traps kill instantly? The snap traps and electronic ones should kill the rats instantly. Glue traps can lead to a slower death, and the live humane cages don't kill the animals at all. Can rat traps hurt cats? If your cat is small enough, there is a chance that it might get caught in a trap. If this is a concern, set the trap well away from the cat's usual path (in the attic or basement, for example). Can a trap be used more than once? Electronic and live humane traps are always reusable, as are some snap traps. Wooden and glue traps must be disposed of after a single use. Can rat traps break fingers? Yes, easily! Use caution when setting any type of snap trap. Can rats outsmart the traps? Rats are highly intelligent creatures, and some older ones will sometimes avoid traps, especially as they represent a change in the environment. The best way to deal with a "trap-shy" rat is to set bait in or near the trap for a few days before loading it, so that the rat will come to regard the unfamiliar object as safe. Where are the best spots in the attic to set the traps? The best place to set traps in the attic is along the wall, beneath the eaves. This is the route that rats will usually take to get in and out. Where are the best places to set the traps outside? Around the outer wall perimeter, beneath fence rails, and near any ledges or rock walls. These are all common rodent paths, as they offer a degree of safety on one side. What can you use to clean rat traps? Soap and water will work as well as anything, but never wash the traps in an area where food is prepared. Note that the traps are usually more effective if they're left unwashed, as the rodent smell is likely to attract others to the spot. The live cages are indisputably humane, while the glue traps fall on the opposite end of the spectrum. The snap traps and electronic models fall somewhere in the middle, as they do kill the animals, but usually quickly. Yes, it is legal to trap and even kill rats. Now that you've learned about the different kinds of traps available, you're ready to start shopping. Exercise your newfound knowledge when making your decision, and your home will be rat-free in no time. 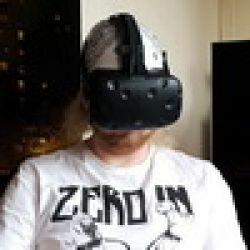 Be sure to keep an eye out for new technologies that might be available, especially when it comes to luring the rats from their secret hiding places. Happy hunting!